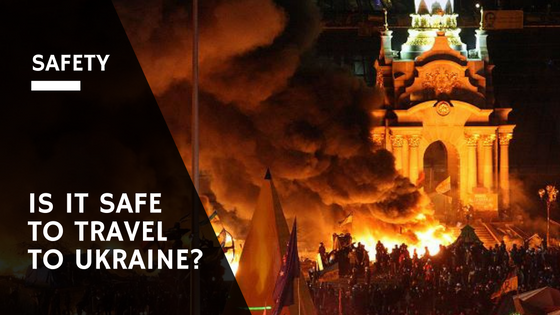 →Is It Safe To Travel to Ukraine in 2016? Is It Safe To Travel to Ukraine in 2016? This is an excerpt from Understanding Ukraine. On sale for $0.99 until tomorrow. When you take a look at the news, you see a lot of people who are up in arms. Is it safe to travel to Ukraine? Simply put, the media reports that you see in the Western part of the world do not give an accurate representation of the rest of the world. Is It Safe to Travel to Ukraine–A RESOUNDING YES! Ukraine is an extremely safe place to travel to in 2016. This is assuming that you stay out of the eastern parts of the country, where the “war” is occurring. In reality, this “war” is just Ukrainian people who don’t like their own country. They would prefer that Ukraine merges back into Russia. Not the European Union. These people are often part of the Donestk People’s Republic, or the Luhansk People’s Republic. These rebels claim a very large area of the Donestk Oblast (Oblast = Region), but in reality only control a couple of the actual cities themselves. Granted, that’s no small feat. Donestk is a large city. However, the facts are that they only control a very small part of Ukraine as a whole. As long as you steer clear of those Eastern regions (Donestk and Luhansk), you will be just fine. And again, the photos are easy to get worked up over. Take a look. We here at Ukraine Living are primarily based in Kiev. In 2016, we’ve also spent time significant time in Odessa with a later trip planned to Kharkiv. Friends have also spent time in Lviv. Kiev is absolutely safe. You can walk around at 3am in the morning, and nobody is going to bother you with the exception of maybe a couple of bums asking for money. You can simply ignore them. Odessa is a little bit rougher as you get further out of the center; it’s simply got a “feeling” of not being as safe. Always listen to your gut. However, it’s certainly not as bad as some of the worst places you’d find in the United States (looking at you, Chicago and Detroit). Lviv is very nice, safe, and charming. This is information coming from friends. Again, you should always listen to your gut while traveling. If something FEELS wrong, it PROBABLY is. Always listen to that gut feeling and react accordingly. In addition, it’s important to remember to always stay calm and keep your head about you. With that being said, Ukraine is a perfectly safe place. It’s very unlikely you will ever have that gut feeling in your stomach. Don’t listen to the media lies. You can meet beautiful girls. The only bad feeling you’ll get is why you didn’t come sooner. Click here to buy Understanding Ukraine.